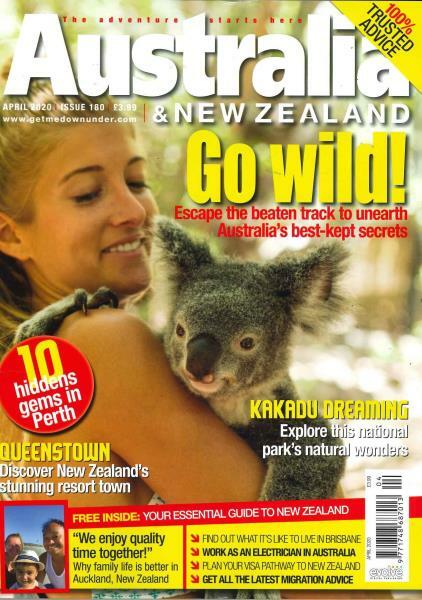 Australia and New Zealand Magazine provides travel information, advice for those considering moving to Australia, and New Zealand. Buy a single copy or subscription to Australia and New Zealand magazine. The publication provides travel information, advice for those considering moving to Australia, and New Zealand. There is information on down under food, wine, lifestyle and homes. Read about stories about people who have moved down under, or the natives who live there. The publication is particularly targeted at attracting people to emigrate to Australia and New Zealand. There is information on getting work visas, information on different towns and areas down under so people considering emigrating can get an idea of where they might like to live. There are maps, ex pat diaries of people who have made the move and a ton of gorgeous photographs of both Australia and New Zealand. A feature article states that Australia needs more than 800,000 new workers over the next five years in order to meet labor needs and to keep the economy growing. The need is for trained workers with specific skills. Western Australia and Queensland is the hardest hit in terms of worker shortages. Government officials are stating that if you have skills you will be able to pick the job you want. If you are interested in emigrating to either Australia or New Zealand, then a subscription to Australia and New Zealand Magazine is the to start the process.